Sweeney Todd scoops top honours at Gauteng’s Naledi Theatre Awards. At a glamorous, glittering occasion last night, held at the equally dramatic Lyric Theatre at Gold Reef City, the theatre industry turned out in their finery to acknowledge and recognise excellence amongst their peers at the annual NALEDI Theatre Awards, for productions staged in Gauteng during 2015. 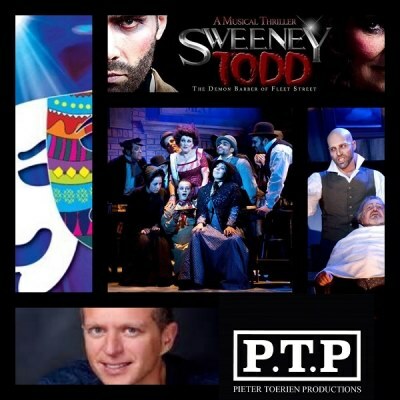 Pieter Toerien Productions was well represented amongst the nominees this year, having mounted some ground-breaking productions and major musicals, with SWEENEY TODD alone being nominated for an astounding 9 categories. For a full list of the winners, Click here.